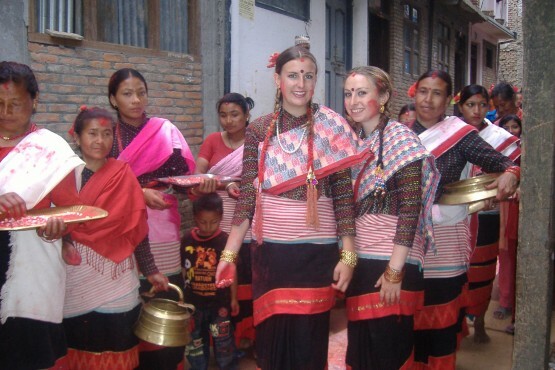 Nepal is a country made up of many races, tribes and communities, each with their own beliefs and celebrations. Today marks the day of Sonam Lhosar – the celebration of the Tamang New Year. This is the latest in our series explaining more about Nepal’s festival. According to the Tamang calendar (which is based on the Tibeto-Chinese lunar calendar), today is ‘Magha Shukla Pratipada’ which translates to ‘the day after no-moon day of the month of Magh (January into February). Where does the title come from? Well, the Tibetan work ‘Lhosar’ breaks down into ‘Lho’ meaning ‘year’ and ‘Sar’ means ‘fresh’. The Tamang people are today celebrating the 2850th year of their calendar. In similar fashion to the Chinese calendar the years are named after one of 12 animals. 2850 is the year of the Horse. The year of the Snake, has just ended. Sonam Lhosar is celebrated with prayers and worship to Lord Buddha in stupas, monasteries, and chaityas. Music and a special dinner feature is an important part of the day with people wearing their best traditional outfit for the occasion. The Tamang people clean their homes, offices and communities to bring in the ‘fresh year’ and get rid of any bad fortune. In Kathmandu a special fete is organized to celebrate the festival. Experiencing the festivals in Nepal is one of the major highlights for Oyster gap year volunteers. We are now taking applications for our January 2015 group departure. This is a four month programme and will mean volunteers will experience these celebrations first hand. To book your place, or to find out more, visit our volunteer in Nepal webpage or contact me direct by email ([email protected]) or call +44 (0) 1892 771972. NB – The Tibetan New Year (Buddhism’s most important festival) takes place later in the month. Next Post It&#8217;s International Save Bears day today!